WordPress may have started as a simple blogging platform. But it has exploded into a full-blown CMS in recent years. Enterprises like The White House, jQuery, Dyn, NGINX, The New York Times, all call WordPress their online home. They’re just the cream of the crop, though. According to BuiltWith, another 19,922,280 live websites (and counting) all use WordPress, too. There’s a reason that so many websites use it. Rather than charge for their enterprise-level CMS, the founding company behind it, Automattic, chose to keep it open source. So technically speaking, it’s “free.” Nothing is truly free, however. There’s always some kind of cost. How much does it really cost, then? How much would it set you back to run a moderately-sized site or one that competes with Mashable or TechCrunch’s sites? Let’s find out. WordPress.org will tell you it’s completely free. But… well, it isn’t. At least, it isn’t if you want your WordPress website to be a fully-functioning online entity. In that case, you’ll need some extra stuff. The extras that you’ll need to get up and running are where the added cost comes in. I’m going to walk you through each category and how much they will actually cost you. Plenty of other online businesses are using WordPress, but that doesn’t mean it’s the right solution for your business. To help you determine whether it is or not, let’s take a look at each category. 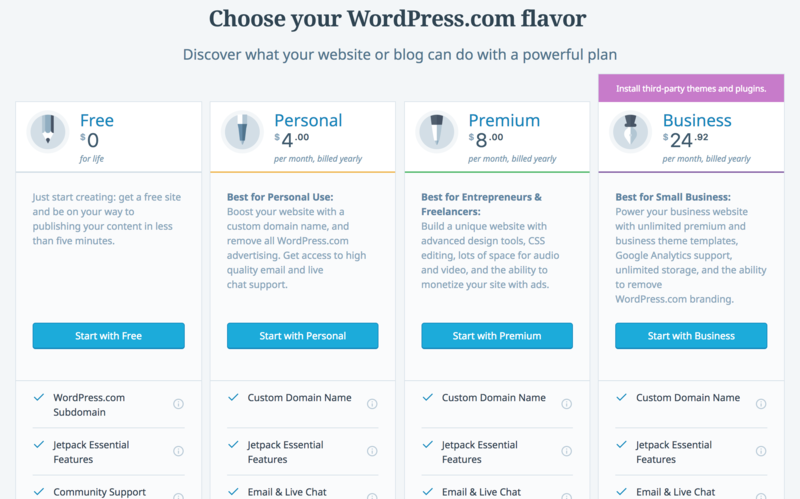 Deciding which web host to invest in is one of the most important choices you’ll make when creating your WordPress site. Web hosting with Southcoast Marketing Group can range from $35 per month to $2000 per month. That’s a huge range. But the good news is that you can pick a plan that best matches your ideal bandwidth and budget. Of course, you can also host your website directly on WordPress. Unfortunately, hosting is about all you can do with WordPress’s offer. While the price points are lower, WordPress won’t monitor your website for you or help you solve discrepancies between third-party plugins. Southcoast Marketing Group, on the other hand, will. You need to choose a plan that you can afford, but you also need to choose a plan that will give your business the best chance of success. For many of you, that price point will fall somewhere in the middle. With website hosting, you get what you pay for. Remember: the cheaper the hosting you choose, generally speaking, the lower quality it will be. Cheap hosting tends to cut corners and overcrowd servers to make a profit. This can dramatically impact the performance of your site. Higher-cost hosting, on the other hand, is usually more flexible and includes advanced features such as resource isolation meaning you won’t share resources with other sites. This ensures your site stays online during traffic surges. Whatever you choose, select an option that offers the right price, flexible features, and much-needed support. Depending on who you host with or your specific needs you might also have to end up spending money on an SSL certificate. Southcoast Marketing Group, for example, has free SSL certificates, but not every host offers this. Also, if you need an Extended Validation SSL certificate, this will cost you. These can range anywhere from $50 to $200 per year. When you register a domain name, you’re purchasing a site URL, or address, where users can go to view the contents of your web pages. You can purchase domain names from tons of different places, but GoDaddy and Namecheap are two affordable options. A domain name will probably cost you anywhere from $10 to $50 every year. You should also be aware of domain privacy protection, or WhoisGuard protection. Usually, when you buy a domain, your personal information is published in the Whois directory. That can be bad news for you because anyone can get ahold of that information unless you protect it. Anyone from an email spammer to a hacker can see exactly how to contact you. But you can buy this add-on to keep your personal contact information private once you register a domain. This add-on can cost you anywhere from an additional $10 to $15 per year, but it’s a service you shouldn’t overlook. Or you can pay a little extra for your domain over at a registrar like Google domains and Whois protection is included for free. WordPress has many themes available to all users. Some are free, but some are upwards of $200. Free WordPress themes are great for beginners, but they often don’t have the necessary features for serious business owners. 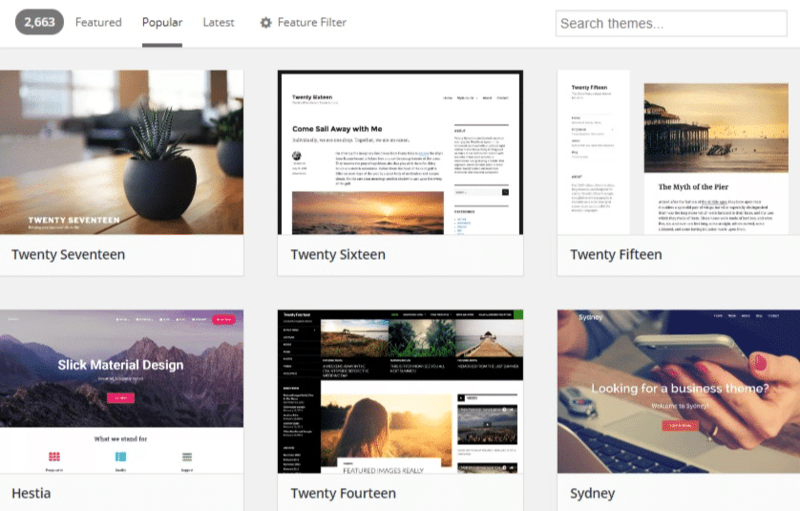 WordPress has a massive theme library you can browse through to find what you’re looking for. You can make changes to this theme later with plugins, so the key is to find a theme that fits the overall feel you want your website to have. Do you want your website to be simple? Professional? Quick to navigate? Fun? Intriguing? You can find a theme that gives your site that feel. When you’re choosing a theme, also make sure that you choose a mobile-friendly theme. 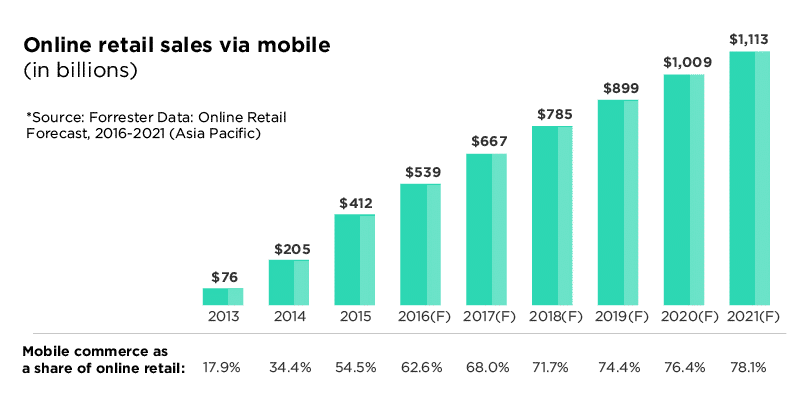 Online retail sales from mobile devices are rising. In 2016, the mobile commerce industry was worth a whopping $539 billion. And that number is expected to double by 2021. But keep this in mind: When you buy themes from third-party SaaS companies, you run the risk of using a template that doesn’t automatically integrate with native plugins that you want on your website. Pre-made templates are also difficult to customize unless you know how to read and write HTML and CSS. If you don’t, then what you see is what you get. Some of you won’t be satisfied by any of the themes you find, though. In that case, consider hiring a web developer to create your very own theme. Depending on who you hire, you can expect a price that lands anywhere from $700 to $10,000. And if your business is well-established with extensive needs, you could even be looking at a price point closer to $50,000. If you choose to have someone design a custom theme for your WordPress site, then you should probably have some in-house developers who can help you make future changes. Otherwise, you’ll be severely limited by your lack of coding knowledge. Or simplify your life and business and hire Southcoast Marketing Group to design, build and maintain your site. WordPress plugins are small bits of code that you can add to your website. Some plugins (also called extensions) are free, but premium options run anywhere from $47 to $200. And charges can be one-time or recurring. You can search through all 53,123 of them on WordPress.org. In particular, though, here’s a list of plugins you especially need to consider implementing on your website. Look at exactly what they do and how much they cost. Yoast SEO ($0 to $89) — Yoast allows you to optimize every single page on your website for search engines. Meaning you have the best chance to rank on your target SERP and generate passive traffic. Gravity Forms ($59) — Gravity Forms lets you create opt-in forms for providers like MailChimp, Slack, Stripe, PayPal, Twilio, and tons more. Advanced Custom Fields ($0 to $100) — This plugin allows you to include additional customizations on different page fields. MailChimp – ($0 to $35 per month or higher) Email marketing software that quickly and easily integrates with your WordPress website, including other third-party plugins. Kinsta, in fact, uses MailChimp. You can also check out these other email marketing software solutions. Bloom ($89 a year or $249 lifetime) — Bloom lets you leverage sidebar forms, floating bars, exit-intent overlays, and other features that will increase your website’s conversion rate. Kinsta uses Bloom on this blog. MonsterInsights ($39 to $199) — This plugin allows you to easily connect Google Analytics to your WordPress website. Sucuri ($199.99 to $499.99 per year) — Sucuri offers much-needed firewall protection for your WordPress website. UpdraftPlus ($0 to $145 per year) — This plugin ensures that you don’t lose critical information due to a data disaster. ShareThis (Free) — ShareThis lets you add share buttons to your WordPress pages so that visitors can easily share your content on social media. CSS Hero ($19 to $79 per year) — Want to make changes to your WordPress website without fiddling around in CSS? This plugin allows you to do that. With all of these plugins, your website will be ready to compete with even the savviest WordPress experts. But you only want to install the plugins that are necessary for your business. Generally speaking, fewer plugins means a faster website. So cut the clutter and only integrate necessary extensions. You can also consider having an in-house developer clean up the plugin code to better fit your website theme. However you do it, be sure to get the ones you need and ditch the ones you don’t. Creating an online store might sound like a daunting task, but it doesn’t have to be. WordPress by default doesn’t have any ecommerce features built into it, but there are plenty of solutions out there to get you up and running. 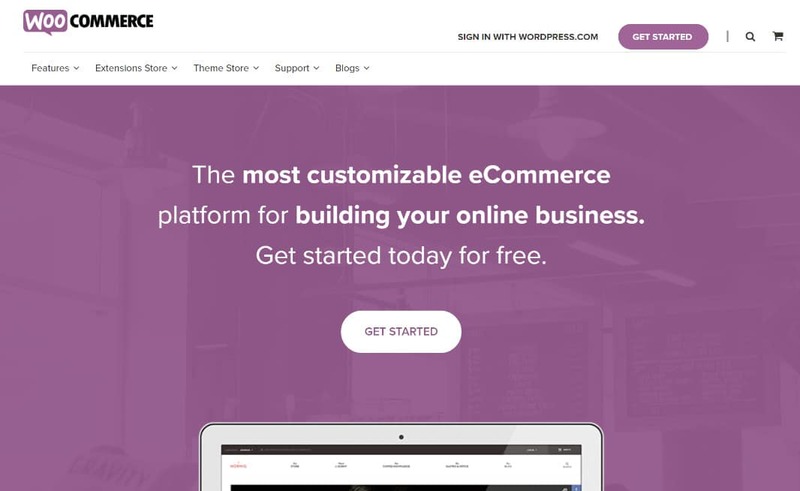 WooCommerce (Free) — This is an all-in-one ecommerce solutions plugin for your WordPress website. Easy Digital Downloads (Free) — A great solution for ecommerce stores that are selling digital downloads and services. Shopp (Free) — With this plugin, you can run sales, add new products, update inventory, ship orders, and much more. Inventory Source ($50 to $175 per month) — If you want to dropship with your ecommerce store, then Inventory Source — which integrates directly with WooCommerce — will help keep all of your shipping information organized. Recurring Payments ($199 a year) — Add-on for EDD which allows you to set up recurring subscriptions for your downloads or digital products. Stripe Payment Gateway ($89 a year) — Allows you to accept credit cards securely via Stripe in EDD. Software Licensing ($199 a year) — Provides a complete license key generation, activation, and checking system. AffiliateWP ($99 a year) — Many plugin and theme developers need a way to integrate an affiliate marketing program into EDD. AffiliateWP is by far the best solution. As you can see, getting all the ecommerce features you want or need in WordPress isn’t always cheap. And this can vary a lot based upon your ecommerce needs. Another huge factor you should consider is your time. How much is your time worth to you?This is something that’s not always discussed when launching a site, but it can be one of the most important. Armin, Sallie and John, all WordPress developers and designers, brought this up below in the comments so it’s worth highlighting. And don’t forget about ongoing maintenance after the fact as well. In the end, you’re going to spend anywhere from $566 to $52,817. The price depends on what you want your website to do, how fast you want it to run, how safe you want it to be, and how much traffic you want it to handle. In other words, the amount of money you spend will directly reflect how capable your website is. Of course, WordPress is capable of handling your traffic, leads, opt-ins, conversions, and customers. But only if you use the right theme and add the right plugins. Some of the most powerful websites in the world use WordPress. And if they can use it, you can use it, too. But don’t get duped into thinking that it ain’t going to cost you. First off, you need a place to host your website. And the more you pay, the better the hosting. You also need a domain name to stake your online property and a theme that fits your website’s intentions. Then, you need to add the correct plugins. And if you’re running an e-commerce store, you need to devote special attention (and money) to using the correct e-commerce solution and adding the correct extensions. When it’s all said and done, all of those factors are going to thin your wallet. But they’re also going to increase your success. In other words, it’s money well spent. 👍 Contact Southcoast Marketing Group today and learn why we are the experts in web design and digital marketing! We will work to build the site of your dreams and show you the value of what a single click to your site can translate into your bottom line….